$49.99 & FREE Shipping on orders over $59. Precise hydrometer for measuring the sugar content and progress of fermentation in wine ferments. Comes with a thermometer/correction scale built-in. Please Note: Due to the large size of this hydrometer, it does not work with our standard 11" or 14" hydrometer jars. 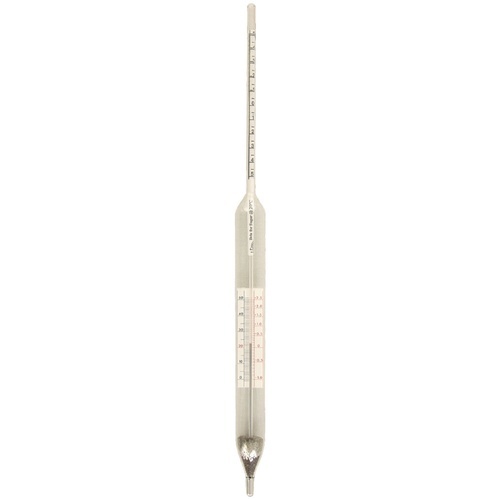 We recommend using our 500mL Graduated Cylinder (MT636D) with this hydrometer. Hydrometer Jar - 14 in.